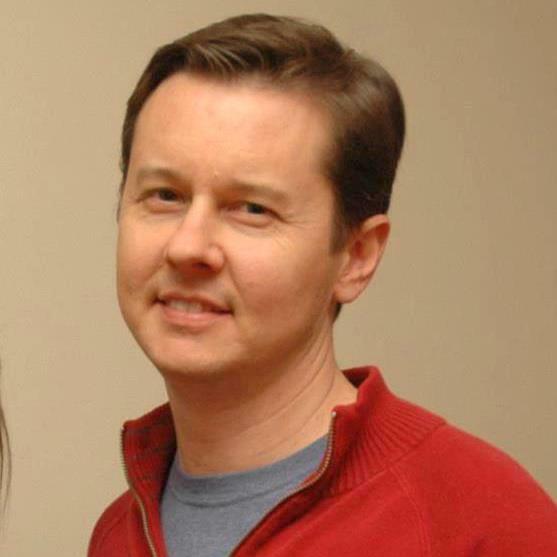 Rob Byer is Assistant Professor of Philosophy at Fort Hays State University. We invited him to answer the question “What norms or values define excellent philosophy of religion? as part of our “Philosophers of Religion on Philosophy of Religion” series. The best philosophy of religion evinces the virtues of open-mindedness, competence, humility, and earnestness. When I was first drawn into philosophy of religion it was these virtues I had observed in the person of my professors that made me desire to study the concept of God, the arguments for God’s existence, and the role of religious belief and behavior in normative judgment. I found these same virtues evident, not always in equal measure, in the classical writings of contemporary analytic philosophers of religion, such as Alvin Plantinga, Eleonore Stump, William Rowe, Marilyn McCord Adams, Norman Malcolm. I believe that the best work being done now in philosophy of religion continues to be guided by these virtues. In this post, I’m going to recommend some works and authors that I believe evince these virtues and represent some of the best recent work in philosophy of religion. The virtue of open-mindedness includes being open about different approaches to the subject matter one studies, being open to including new perspectives, voices, or data previously ignored, and being open to transformational work that might cause the field as a whole to look differently. J. Aaron Simmons’ work at the intersection of Continental and analytic approaches to philosophy of religion is a good example of this virtue in practice. His work on “mashup philosophy of religion” displays an openness and desire to dialogue between these different philosophical traditions. In a similar vein, Andrei Buckareff and Yujin Nagasawa’s recent book Alternative Concepts of God displays a similar openness about new ways to think about the divine. The authors in this compilation range from pantheists to naturalists to traditional theists, and they approach one another in critical, but open, fashion. Several of the works I will highlight when speaking of other virtues also exhibit the virtue of open-mindedness, but I will not recount them here. Competence in philosophy of religion requires engagement with the best relevant work in other disciplines and in other areas of philosophy. David Alexander’s book Goodness, God and Evil weaves meta-ethics, ontology, and philosophy of language into more general philosophy of religion in an effortless and still careful way. Several chapters also demonstrate the viability of certain Medieval views in meta-ethics and metaphysics, as well as philosophy of religion, and this is a significant boon to contemporary academic philosophy. Though not falling under the umbrella of philosophy of religion directly, Robert Pasnau’s Metaphysical Themes 1274 – 1671 illustrates the richness and diversity of metaphysical thought among medieval (and predominantly religious) philosophers that are still relevant and mostly unknown today. Finally, the various works of Helen de Cruz and Johan de Smedt on the intersection of cognitive science, evolutionary psychology, and religion is exceptionally careful, well-argued, and rewarding. Their A Natural History of Natural Theology: The Cognitive Science of Theology and Philosophy of Religion is an important, exciting, and above all competent interdisciplinary work. In the case of the last two virtues, I want to mention how philosophers of religion have exhibited them in my own experience. My own teachers in the field showed these virtues at a nearly perfected level, and allowed me to see the importance of these virtues through their modeling by dialogue and scholarship. Other philosophers of religion that I have met at conferences, and through email, also exhibit these two virtues—at least, the best of them do. Philosophy of religion requires seriousness because the stakes are so serious—what could be more important than trying to figure out the nature of the Divine and arguments for and against its possibility or actuality? If, like many philosophers of religion, one is religious, then what can be more serious and sincere work than faith in search of understanding? Philosophy of religion also requires humility because of the significant, expansive gap between ourselves as finite, imperfect creatures, and the Divine. Human beings should be earnest, but not too earnest and not too sure of ourselves when contemplating the nature of the Divine. And this is okay—as the Yiddish proverb goes, “Man plans and God laughs.” William James noted over a century ago that “Our errors are surely not such awfully solemn things. In a world where we are so certain to incur them in spite of all our caution, a certain lightness of heart seems healthier than this excessive nervousness on their behalf.” This attitude should be the constant companion to both the earnestness and humility exhibited by the best philosophy and philosophers of religion. Two other things I want to mention about the state of the field and the virtues that govern it are in celebration of specific examples of open-mindedness. It seems to me that now, more than ever, philosophers of religion are open to traditions outside of the Abrahamic faiths and their various denominations or strands. The inclusion of Confucian, Daoist, Hindu, and Buddhist perspectives in conversation and in scholarship is a welcome sight for which we should all be grateful. The other item, no doubt related to the first, is the interest of professional philosophers of religion to study and engage with work in nearby fields such as the cognitive science of religious belief and behavior, science and religion, and religious studies. All of these fields have innovative, exceptionally sharp, sophisticated scholarship continually being produced that traditional philosophy of religion has largely ignored. The state of the field is now such that more and more philosophers are reading both broadly and deeply, and that can only hold promise for the future of philosophy of religion and the study of the Divine. 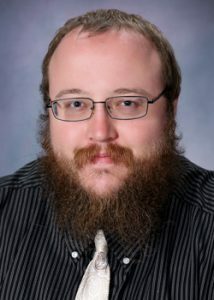 Nathan Nobis is Associate Professor of Philosophy at Morehouse College. We invited him to answer the question “What norms or values define excellent philosophy of religion? as part of our “Philosophers of Religion on Philosophy of Religion” series. Philosophy of religion is better done when it engages with what people actually think about issues: it “meets more people where they are at.” This involves more carefully listening to and seeking to understand how ordinary people understand religion and engaging their concerns. This is likely more interesting and fruitful than the philosophers setting the agenda, and the philosopher is apt to learn quite a lot about what “normal people” find interesting, compelling and troubling. This approach results in engaging a wider variety of issues and concerns than are typically engaged with, which will make teaching and public engagement better. It might help the specialist too. For example, it is doubtful that many “normal people” who have genuinely struggled with the relations between God and evil have been troubled about whether a mere speck of evil is compatible with God’s existence. If so, “refuting” the so-called “logical” problem of evil didn’t address a “live” concern of many ordinary people who, perhaps, have a better sense of what really matters and so their insights should guide philosophers’ inquiry. Again, philosophy of religion should diversify by engaging a wider variety of religious experiences. True, many religions that could be discussed aren’t “live options” for many of us (yet?!). But they are live options for many people. And it’s not like even most of the views we discuss in other areas of philosophy are “live” options for us. Yet somehow we were able to learn about them and teach them. That’s how it should be with religions. Philosophy of religion is basically “applied” philosophy: insights from metaphysics, epistemology, value theory and much, much more are applied to questions about religion. Two important applications come from Plato’s Euthyphro dialogue and recent discussions of the epistemology of disagreement. It is still widely believed among the public that non-religious people wouldn’t have much of a moral compass: a religious source is needed for that. But, as Socrates observed, roughly, any religious source would be backed by reasons or not; if not, then judgments from that source would be arbitrary; but if there are reasons, they would be what supports the judgment and make the action wrong or whatever, not the source or authority itself. Recognizing Socrates’ points would contribute to positive interfaith ethical dialogue. One somewhat established (yet disagreed-upon!) conclusion from the epistemology of disagreement is that when you see that seemingly reasonable people disagree about a topic, that should often lead you to lose confidence in your own views if you have no reason to believe you are more likely correct than anyone else. This principle seems applicable to many religious beliefs and believers, especially when you have really gotten to know people who have different views than your own. Religious believers, including religious disbelievers, have a tendency to be less than fully truthful about the strength of the evidence for their views: sometimes they claim to have far better evidence than they really do: at least, sometimes their evaluations of their beliefs appear to be motivated by concerns other than the evidence. In being truthful about the quality of our evidence, we are being fair: we aren’t demanding that anyone believe or do anything that the evidence does not require. Believers and disbelievers often insist that it is important that people believe (or disbelieve) whatever religious views they hold, but they might not be truthful about the evidence in favor of thinking this: perhaps “apatheism,” a view that we should be apathetic or indifferent to religious belief (and disbelief), is a reasonable response, given the elusive and evasive kinds of evidence here, combined with the recognition of the global and historical disagreements about religions. There is also a tendency for some people to unfairly think that religious beliefs simpliciter or in general are the cause of many moral and social ills (e.g., unfair discriminations, lack of environmental concern, xenophobia, etc. ), instead of various particular religious beliefs or beliefs about morality and social policy that, for whatever reasons, some but certainly not all believers in a particular religion accept. These critics of religion also tend to ignore that secular and irreligious perspectives are in no way uniformly correlated with (and certainly don’t cause) a consistent and reliable seeking of justice, fairness, caring and any other moral and intellectual virtues. In short, there are good and bad people among the religious, the irreligious and the apathetic, and we should focus on those beliefs, attitudes, and actions that make them good or bad, not the religious or irreligious beliefs that are, at best, only contingently related to those good and bad qualities. Russell, of course, was famously opposed to most religious belief, perhaps for reasons that were ultimately unfair and uncharitable to religions. His insights here, however, combined with some Aristotle, and some disagreements-induced healthy skepticism and general fairness towards the variety of views that are considered philosophical, might lead to a different view about philosophy of religion: philosophy of religion should begin with and sustain a sense of wonder and amazement that human beings have developed, through religions, so many different ways to seek meaning and purpose. Philosophy of religion at its best involves the honest and rigorous attempts to puzzle through all the philosophical challenges that arise from these attempts.